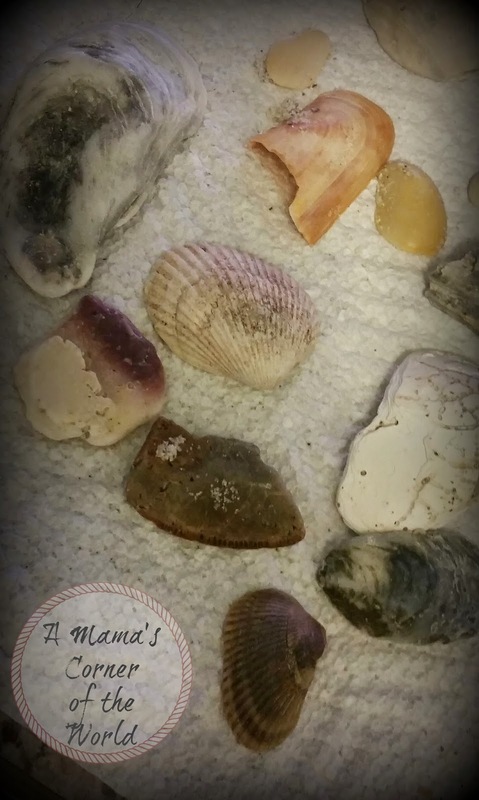 We spent a few days at the beach and, as always , came home with too many seashells. The youngest has a very tough time leaving any shells on the beach....so her bucket is pretty heavy during most trips! We were able to do a little searching and exploring during high tide during this trip so the girls found quite a few "perfect" shells! 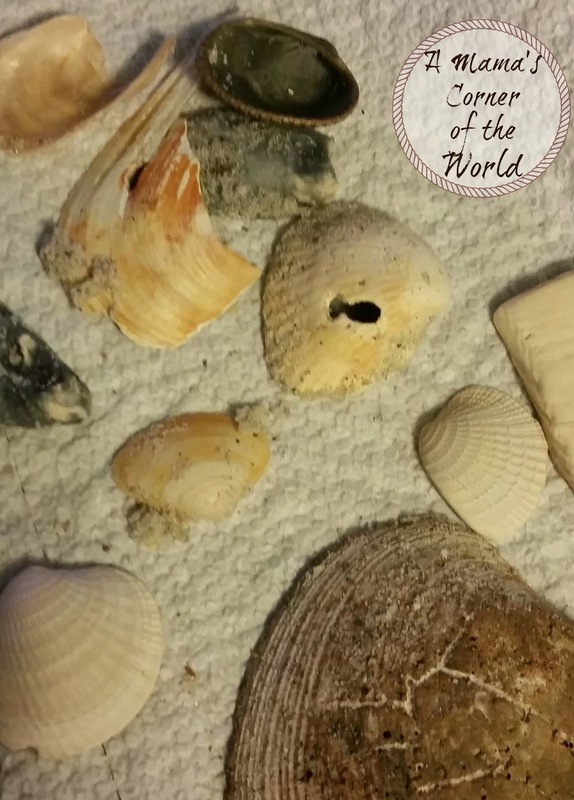 I thought we would share a few of our collected shells--especially one unusual one--as this week's Wordless Wednesday linkup! I would love to see some of these broken pieces as the complete shells! Not sure how...or why...or whether it was man-made or nature-made--but, the one shell certainly had a fish shaped hole! ....and I think it was everyone's favorite! Ready to Link-Up your Latest Wordless Wednesday Posts? Thanks for stopping by this week to link and share your blog! 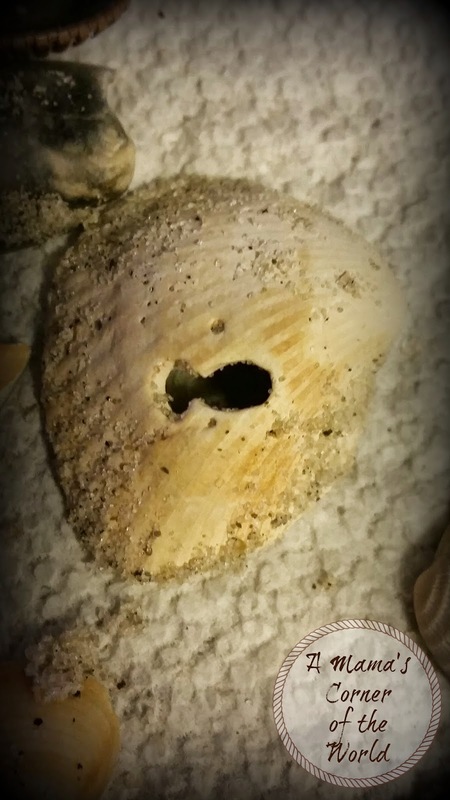 One of my favorite things to do is wander the beach in search of shells... broken or otherwise, they are lovely. Love them. Those are all very nice. Great thing to do at the beach. I can see why that would be a favorite. Definitely unique! I could think of so many simple projects to do with these and the girls... They are beautiful indeed. I love that shell with the little fishy punch out. What a great find.